Skeleton decorations won’t be the only thing in abundance this Halloween weekend. Law enforcement agencies across New York State will be cracking down on drunk driving from October 28, 2016 through October 31, 2016. The effort is part of the statewide STOP-DWI initiative, which runs at key times during the year. Halloween is meant to be a fun time for New Yorkers of all ages, but the shorter daylight hours, changing road conditions (e.g. wet leaves), and extra pedestrian foot traffic increase the chances of an accident, especially if drivers are under the influence of alcohol. According to the National Highway Traffic Safety Administration, in 2015, over half (52%) of all highway fatalities across the nation on Halloween night involved a driver or a motorcycle rider with a BAC of .08 or higher. In addition, between 2009 and 2013, 43% of deaths from car accidents on Halloween night were the result of a drunk driver. Law enforcement agencies are increasing their visibility throughout the state and will establish DWI checkpoints along major roadways. Drivers can also expect an uptick in unmarked police vehicles. Although STOP-DWI Crackdowns are intended to curb drunk driving, the stepped-up enforcement also means police will be watching and ticketing for distracted driving, speeding, and other traffic violations. 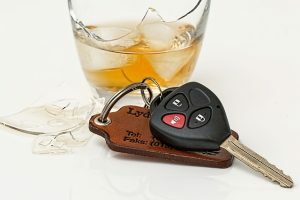 A DUI/DWI conviction in New York can bring dire consequences, including up to 1 year in jail, a suspended or revoked license, huge increases in insurance costs, and heavy fines. If you or a loved one has been arrested for drunk driving, it is urgent that you contact an attorney for help. The attorneys of the Rosenblum Law Firm have many years of experience fighting traffic violations and negotiating with prosecutors. Contact us or call 888-815-3649 for a free consultation.